Massachusetts Lt. Gov. Tim Murray was recently cited for numerous traffic violations and fined for allegedly falling asleep at the wheel and driving more than 100 mph before veering off the road and crashing a state-issued motor vehicle back in November, according to MSNBC. According to police reports, the vehicle was traveling at roughly 108 miles per hour as Murray’s state-issued vehicle left Interstate 190 and caused a single-vehicle car accident in Sterling. Murray was not injured in the accident but was issued an approximate $600 fine for speeding, seat belt violation and lane violation. 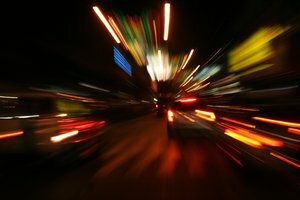 Our Boson car accident attorneys understand that speed kills. According to recent studies, the faster a vehicle is traveling at the time of impact, the higher the risks are for a fatality. Murray is extremely lucky that he was not seriously injured in this accident. In addition to the speed, we would also like to point out how difficult the fight can be when traffic accidents involve government vehicles, like police cars, fire trucks and ambulances. When accidents like this occur, it is the investigators who are investigating themselves. Oftentimes these agencies can overpower citizens’ claims and reports. For this reason, these types of accidents require experienced legal representation to help you to fight for your rights and for any compensation in which you may be entitled. According to reports, Murray says the accident happened when he lost control of his vehicle because of black ice on the roadways. Although the vehicle skidded on the roadway and eventually flipped over, Murray was fortunate enough to walk away from the accident. Information collected through the black box that was inside the vehicle led officials to rule that he had fallen asleep at the wheel and that black ice was not in fact the cause of the accident. “As first responders came to the scene, they commented on the black ice and warned each other of the slippery conditions …so I assumed that’s what caused my accident,” said Murray. Murray says that he also thinks that he was wearing his seat belt during the accident and that’s why he was able to walk away from the accident. Law enforcement officers administered a breathalyzer and the test results indicated that there was no alcohol involved in the accident. Murray says that he is going to reimburse the state for the car that he smashed in the accident. It was a 1997 unmarked Crown Victoria. It was first purchased by the state for nearly $40,000 but was valued at less than $10,000 when the accident occurred. “I recognize that I should have been more careful,” said Murray. Murray’s driving record reveals two previous traffic citations for speeding; one in 1992 and another in 2006. If you or a loved one has been injured in a car accident with a speeding driver or a government vehicle in Boston or elsewhere in Massachusetts, contact Boston Injury Attorney Jeffrey S. Glassman. Our firm offers free and confidential appointments to discuss your rights. Call 877-617-5333.